More than just your average Poké bowl. For those not in the know, poké (pronounced ‘poh-kay’) originates from Hawaii and this dish traditionally comprises of marinated raw fish, tossed with sesame seeds, sweet onions and scallions served over rice. Being the first to introduce this Hawaiian specialty in 2015, Aloha Poké has garnered fans for its deliciously fresh seasoned fish and an array of high-quality ingredients to top on the bowl. With up to 8 locations island wide, you can always get a poké bowl to satisfy your cravings. 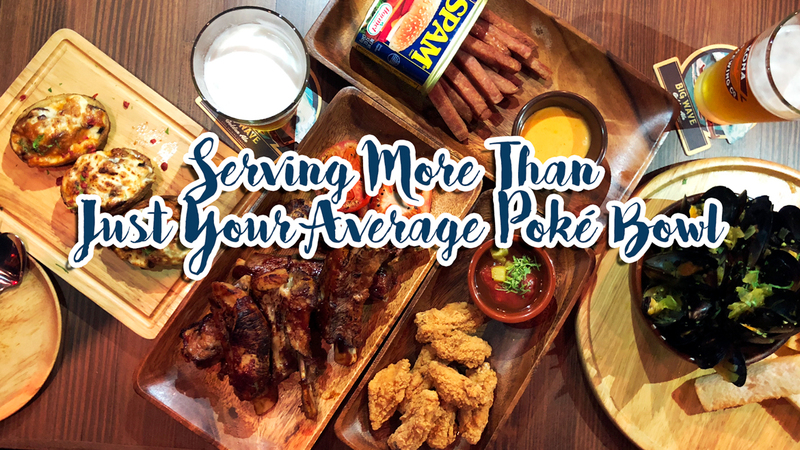 Located in the bustling CBD area, their flagship outlet at Amoy Street is not only the perfect place to get your poké fix in the day but is also a gathering spot to dine and chill over a refreshing draft of Hawaiian beer at night. 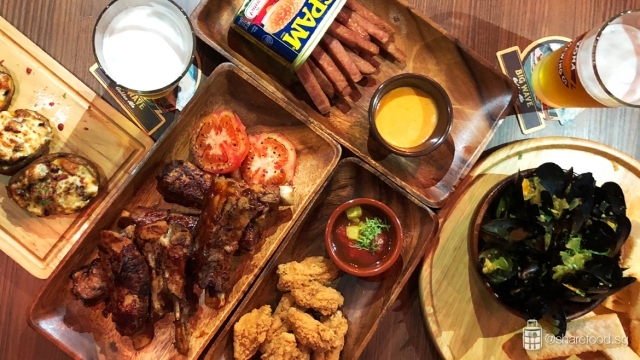 Serving up Hawaiian inspired bar bites such as Stuffed Potato Skins, Fried Spam™ Fries and Aloha Wings as well as hearty mains such as Kona Beer Mussels, Ohana Pork Ribs, Loco Moco and Mentaiko Pasta. 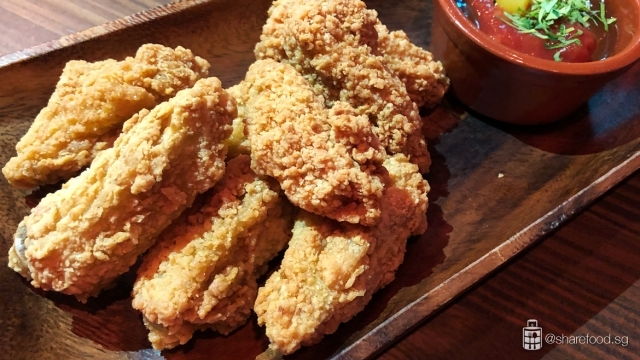 The Fried Spam™ Fries is a great way to kick start the appetite! 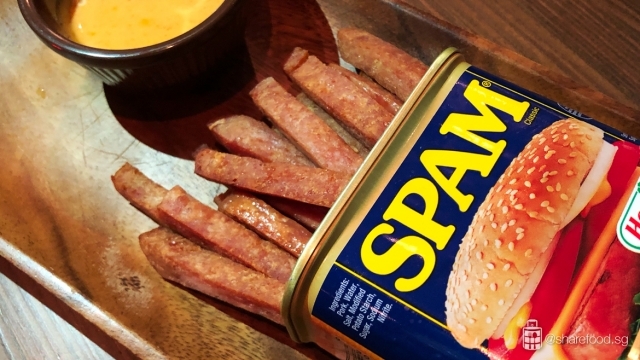 The oven baked Spam™ Fries is hard to resist and goes great with the spicy mayo sauce. 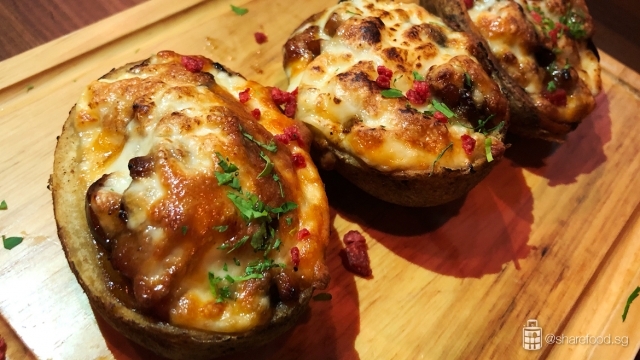 We highly recommend the Stuffed Potato Skins which is deliciously comforting to have after a long day of work. The potatoes are baked and stuffed with chicken, king oyster mushroom and covered with melted mozzarella cheese. The Aloha Wings is definitely a crowd pleaser and goes great with the Kona Brewery Craft Beer. Dunk the oven baked spicy chicken mid-wings with Aloha's homemade BBQ and enjoy the tingly spice with every bite! Try ordering a variety of mains to share which they name as Luau big plates, also known as traditional Hawaiian party feast dishes. It's our way of trying more dishes! For beef lovers, try the Loco Moco! 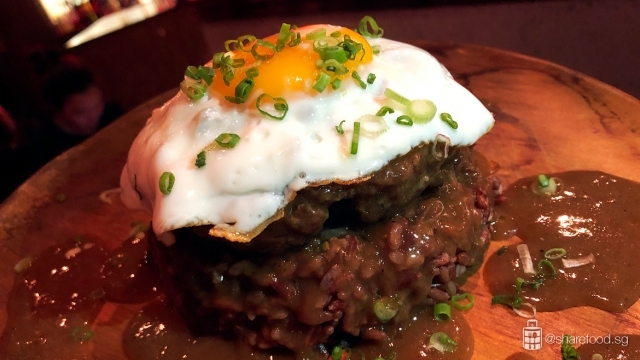 The delicious wagyu beef patty is doused with a red wine reduction sauce served with white or brown rice and topped off with an egg sunny side up. 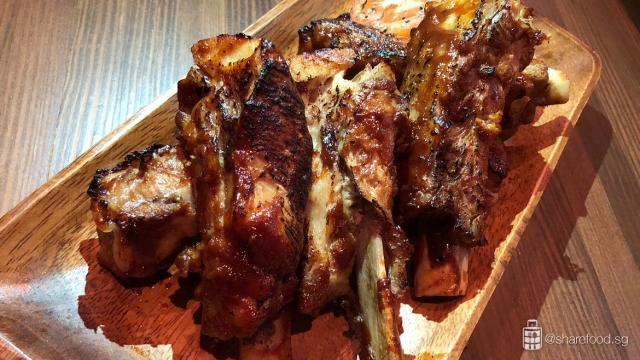 If you've got a carnivorous appetite, order the Ohana Pork Ribs. Huge cuts of juicy, tender pork ribs basted with homemade BBQ sauce and served with a grilled tomato. You wouldn't need a knife for this dish as the meat falls right off the bones! Craving for mussels? 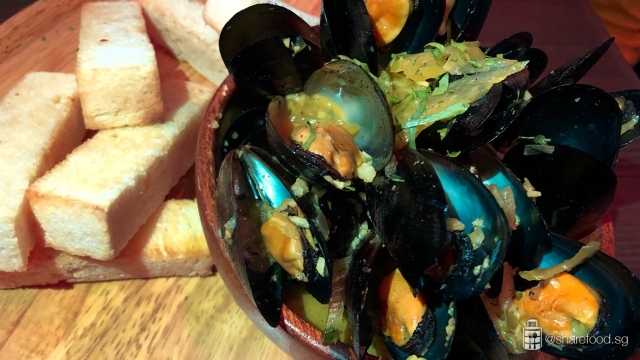 You'll be surprised by the portion of the Kona Beer Mussels! Fresh green mussels slow cooked with onion, celery and Kona Beer. Dip the toasted brioche and savour the umami flavour of the sauce. Lastly, our must-try dish is Mentaiko Pasta! 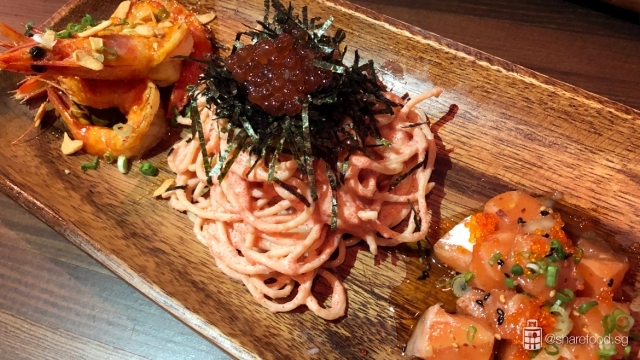 Chilled Mentaiko spaghetti served with original salmon poké, spicy shrimp and topped off with Hokkaido Ikura. This is one dish that's so hard to share as one can easily finish on their own! Well, it's always a good time for some great food and drinks! Take your mind off work and head over to Aloha Poké. Enjoy the peaceful ambience, great Hawaiian inspired food and Hawaiian craft beers!